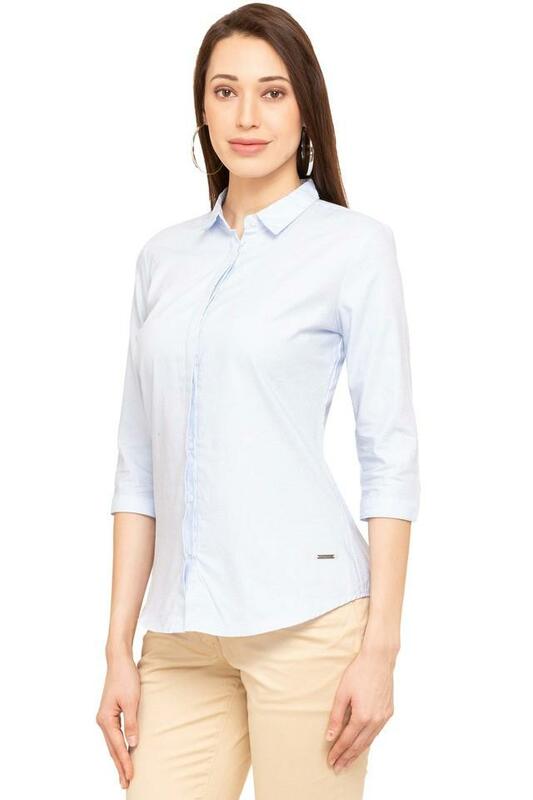 Add a bit of sophistication to your look by wearing this collared shirt brought to you from the house of Van Heusen. 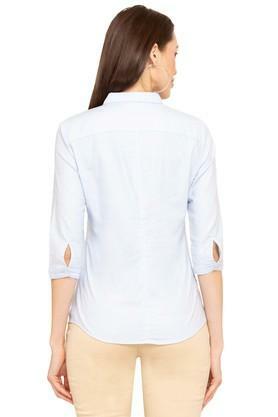 It has three quarter sleeves that render it stylish. 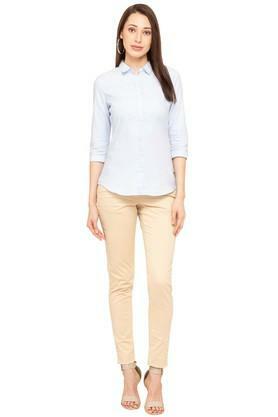 Besides, it is tailored with cotton that will provide you optimum ease all day long and easy to maintain. Featuring a self pattern, this shirt will be a perfect pick for you to wear to your workplace. You can team it with a pair of trousers and heeled shoes for a complete look.